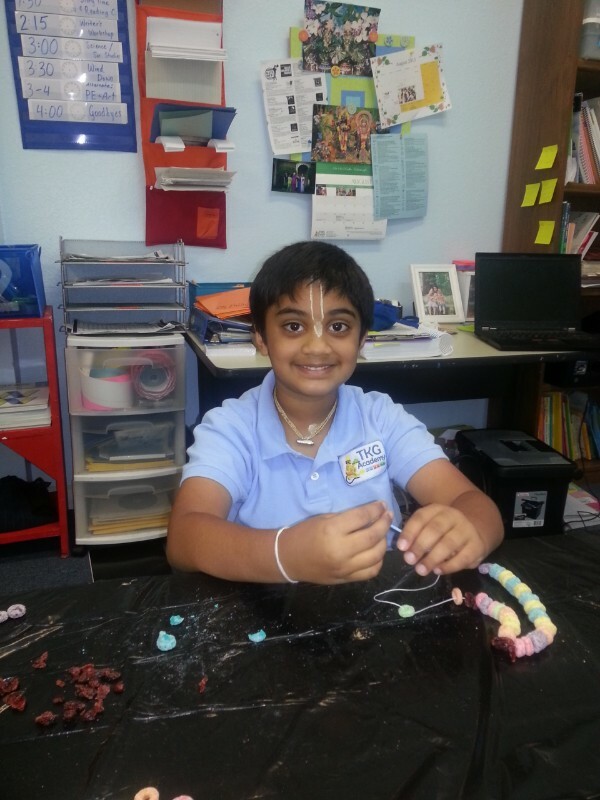 Gaurang is a 7 year old, 2nd grade student from Massachusetts. His parents are both initiated disciples of His Holiness Radhanath Swami. He is in his first year as a TKG Academy gurukula student. A: My favorite foooood…is… PASTA! A: Oh! Krishna destroying Aghasura. A: I like math. I like multiplications. Q: What do you like love about being a TKG Academy student? A: I like playing with my friends. It’s what I do every day!